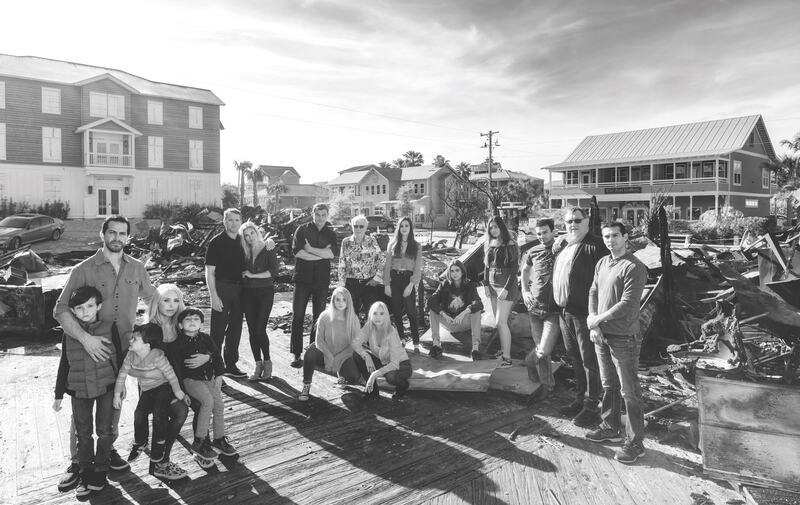 The Petit family gathers at the site of the Red Bar and Piccolo Restaurant in Grayton Beach, Florida, just a few weeks after a fire destroyed the landmark destination. 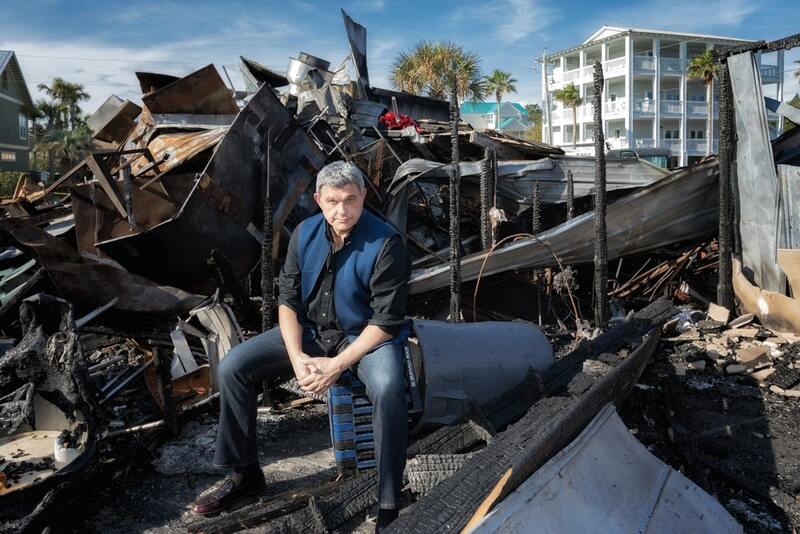 A myriad of texts, emails, and phone calls was wildly transmitted throughout the sleepy coastal communities of Seagrove and Grayton Beach early in the morning on Wednesday, February 13, 2019, with the news that the beloved Red Bar had burned to the ground. Looking at the messages, it was impossible to believe; the disbelief led to an internet search to confirm that the worst was true. 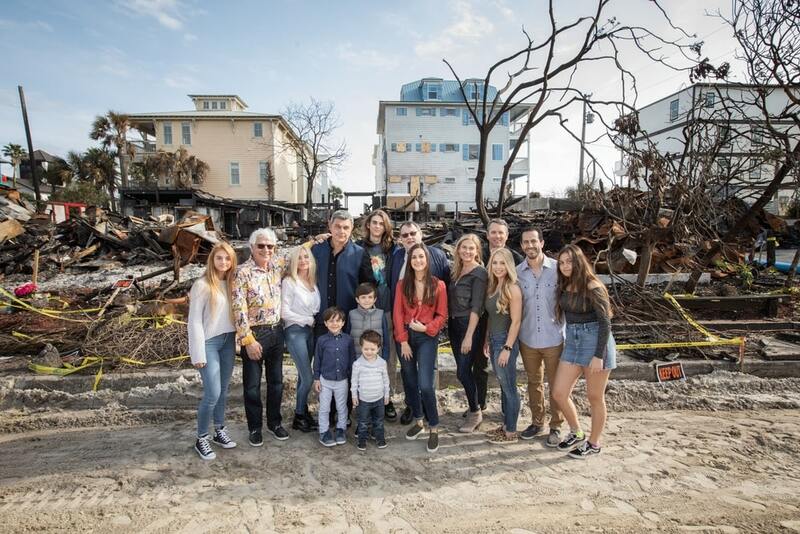 That the landmark restaurant—a hot spot in Grayton Beach, Florida, since 1995—was no longer there was incomprehensible, especially in the wake of what our neighbors had just endured from Hurricane Michael a few months prior. The memories at Red Bar were numerous, and everyone had their favorite ones to share on that fateful and regrettable day. 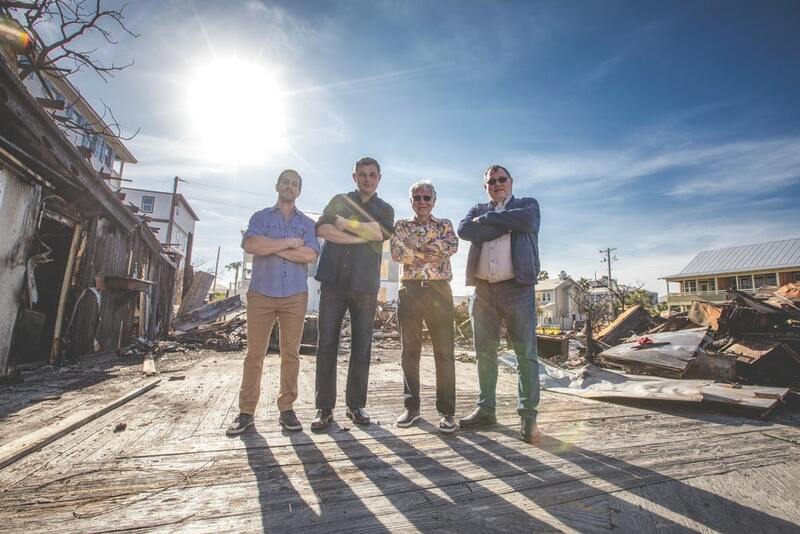 Owner, visionary, and proprietor Oliver “Oli” Petit tried to wrap his mind around the loss of his family business and the loss of jobs for his 113 employees. All was gone in minutes. Thankfully, there was no one in the building at the time of the fire. “The Red Bar has been part of so many people’s lives these past twenty-four years. I’m overwhelmed at the outpouring of sympathy, condolences, help, and fund-raisers from our friends and the community at large. I’m shocked, and yet I humbly accept it,” says Petit. He added that there wasn’t a single employee that he wouldn’t hire back. The Red Bar is an institution, and so many grieved the day they learned the news. Thousands poured out their hearts on social media, extolling the place and sharing their best memories. We’re showing just a tiny sampling here. Petit, a native Belgian, opened the Red Bar and the adjacent Piccolo Restaurant in 1995 with his brother Philippe as his business partner and their father, Louis Sr., as an investor. 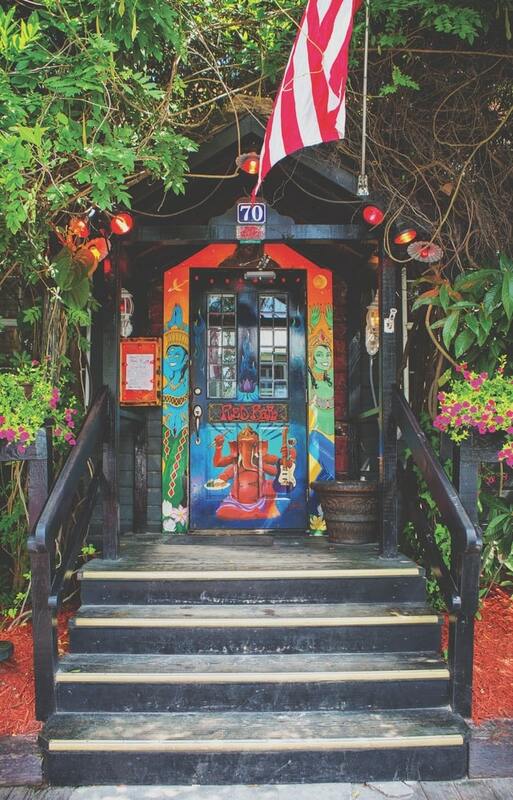 It became known for its live music, a menu of staples that fans came back for time after time, and an eclectic atmosphere thanks to the decor—a mélange of memorabilia that Petit had amassed over decades, including classic movie and band posters, antiques, quirky signs, stickers, and much more. People of all ages and from different walks of life enjoyed and caught on to the vision of what Petit had created, and his patrons always had smiles on their faces. 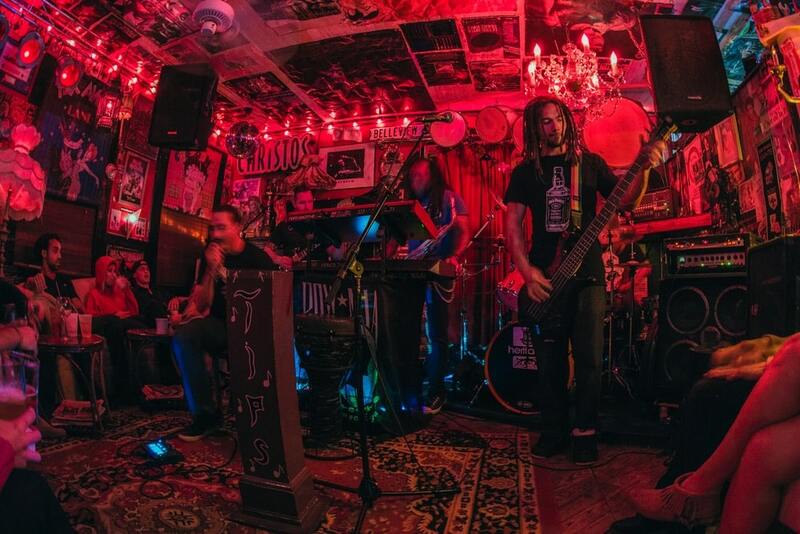 The music was loud and cool, and you felt like you were being transported to a darkly lit, groovy European eatery once you entered the front door. Petit’s dashing good looks and accent made a big splash when he moved to the beach twenty-five years ago and worked as a chef at Josephine’s Bed & Breakfast and Modica Market. Seeing him cruising down Scenic Highway 30-A in his 1972 red-hot Pontiac Grand Ville convertible was easy on the eyes. This was way back when, during his bachelor days; to know and see this family man and all of his successes today is impressive. But his most significant accomplishments to date might be the display of his grace, character, and strength and how he has vowed to rebuild the Red Bar. The biggest testament to his reputation is how the community has rallied around him and his family during this time. 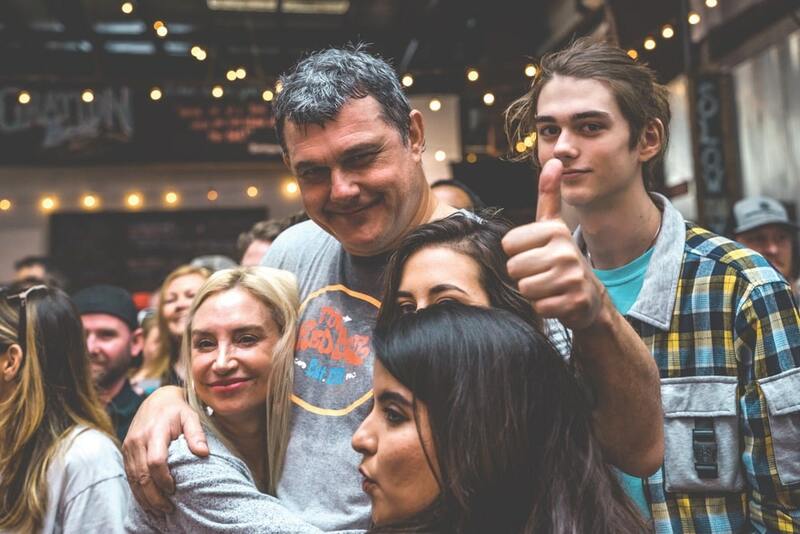 Thousands of people gathered on Sunday, February 17, 2019, at Grayton Beer Company for a benefit concert to support the Red Bar and its more than a hundred employees. A total of $27,590.56 was raised! 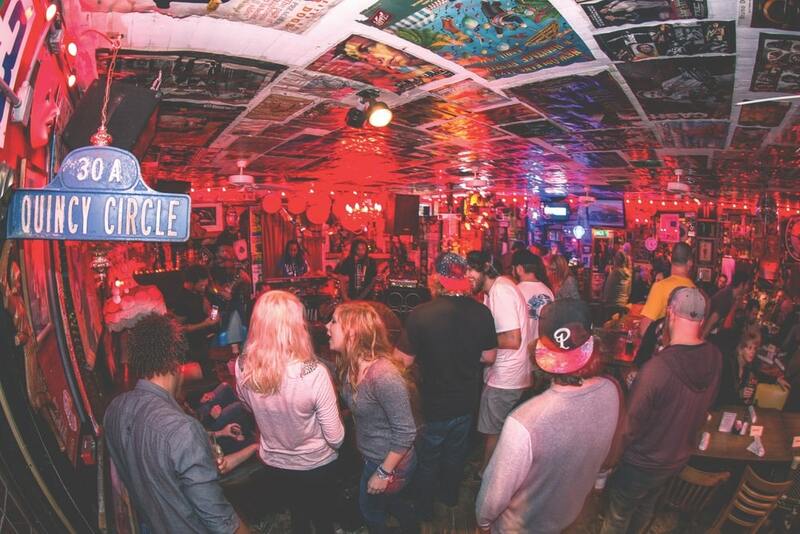 The five-hour event included local music acts the Forrest Williams Band, TKO, the Wildlife Specials, Cadillac Willy, and guest performances by Fritz, Tanner Gray of the Graytones, Andi and Ken Johnson, and more. The event would not have been possible without assistance from a number of area businesses, including Shofar Stage Productions, South Walton Artificial Reef Association, Oyster City Brewing Company, Grayton Beer Company, Grayton Beer Brewpub, Cultural Arts Alliance of Walton County, Proffitt PR, The Lewis Bear Company, AJ’s Grayton Beach, and Johnny on the Spot. 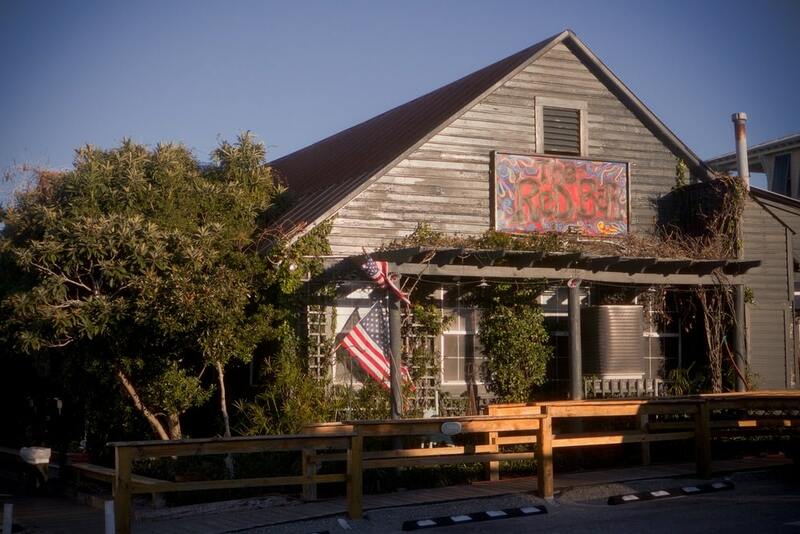 Petit has plans to reopen the Red Bar this Labor Day weekend. He realizes this is an aggressive goal, but it’s one he is striving to reach. For those who wish to donate, you can do so by visiting Gofundme.com/official-redbar-go-fund-me. This is the only GoFundMe account that is officially endorsed by the Red Bar. Visit TheRedBar.com to keep up with news on the rebuild and reopening.